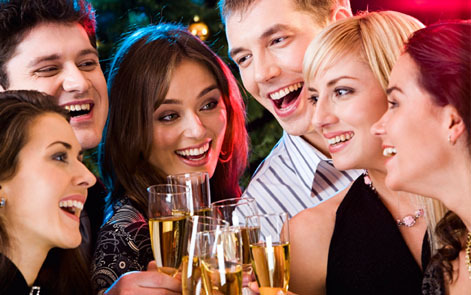 Want to be the one in the know at this year's holiday parties? Well here are our hot topics with the answers to boot, for all things real estate on the Edmonton, Alberta real estate market and the overall Canadian real estate market this 2012 holiday season. What is going to happen with interest rates in 2012? Answer: Most likely will stay steady, with possibility of potential slight drop or increase depending on consumer confidence levels and outcome of European Union debt issues. What affect does Greece & Italy's debt issues have on Alberta Real Estate? Answer: Foreign investment is looking for new countries to place their capital. Looking for security & income. Canadian commercial investment real estate offers that, and so demand for high quality assets is increasing and driving values up. This growth also creates jobs in the sector, and the commodity based Canadian economy also attracts foreign investment as well. This job & income growth creates in migration of population, which in turn raises demand for housing. Rents go up, and so do housing values. The key is, not in all markets. Only those cities with low unemployment, job growth, income growth, and stable political climates that promote & encourage investment will grow. Edmonton & Calgary are two of the best, with Toronto & Vancouver gaining the most attention and investment, but where values don't justify the prices. Will the Canadian housing market rise in 2012? Answer: Yes, at likely a normal seasonal trend of 2-3% overall by the end of the year. Will Edmonton's housing market rise in 2012? Answer: Yes, at likely a normal seasonal trend with value gains of 3-5% on average. Driven primarily by recent in migration, job growth, and increased demand for housing causing lower vacancy on rentals, rental growth and ownership housing demand growth. Stay tuned to our newsletter in late January or early February for all the 2012 forecasts information. Enjoy the holiday punch & conversations!